"How you may come upon Jonah's. Coming from Sydney you follow the Palm Beach Road through Newport and beyond. About one and a half miles short of Palm Beach stands a stone bus shelter beside the road. Here, too, is a Jonah's sign which directs you to the right and up a hill. At the crest of the hill, turn sharp to the left, continuing along the higher road (not the lower). Within 400 yards you will see Jonah's. Here rest awhile." You would need a rest, too, after following those directions, printed on a Jonah's brochure issued to automobile enthusiasts in the days when gloveboxes were still used for gloves. A time before Google Maps and pocket Gregory's and even before De Groot cut the ribbon on the Harbour Bridge in 1932. The bush-backed beaches of Barrenjoey headland were a natural wonder for Sydney's Bertie Wooster set in the 1920s. Constance Vidal, the widow of a Gloucestershire clergyman, had the foresight to capitalise on the advent of "the car" and opened a teahouse for motorists touring the area in 1929. And Lord knows you would need a car to climb the steep incline from Whale Beach to the roadhouse. It proved to be a damn fine way to keep the riff-raff out. Jonah's prices keep the rabble at bay level 90 years later. 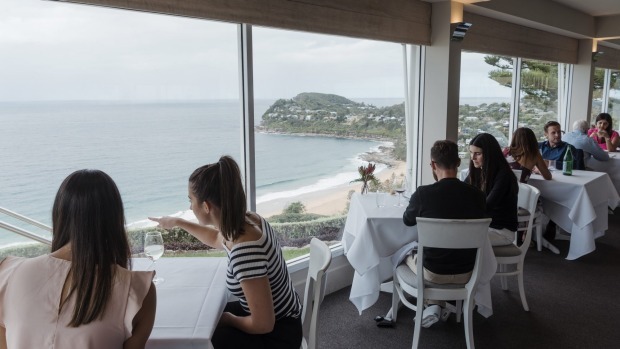 Eleven rooms with a multimillion-dollar view are attached to the restaurant, and a one-night weekend stay with dinner and breakfast will set you back $587 a head, twin share. 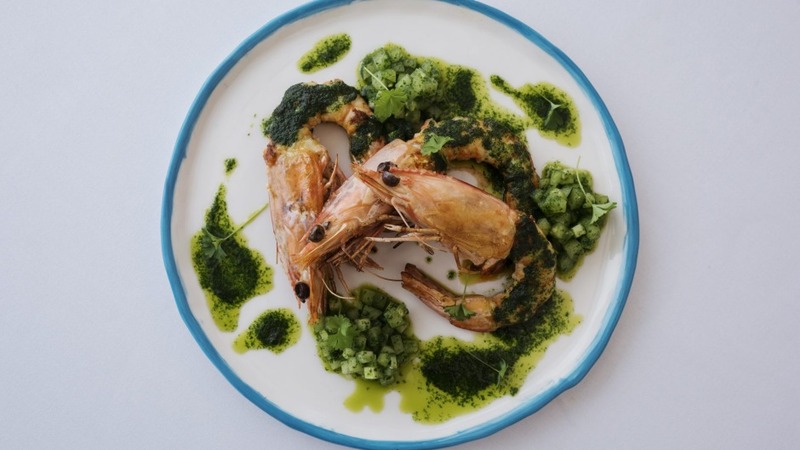 Day-trippers can expect to pay a set $110 for three courses and a side (matching wine from a globetrotting world-class list is $63), unless the occasion calls for a kilogram of lobster thermidor, in which case that will be an extra $130, thank you, and most certainly come again. There's a three-tiered seafood platter because you can't have a restaurant with views like Jonah's without a three-tiered seafood platter. It features hot and cold treats such as oysters, sashimi, smoked salmon, grilled marron and seared scallops, and I suspect management enjoys charging $260 for it more than chef Matteo Zamboni finds it thrilling to prepare. Seafood platters, much like breakfast dishes and club sandwiches, are seldom the best canvas for a chef's skills. Zamboni came to Jonah's in 2017 after a seven-month run at Zambo, his own Surry Hills restaurant in the old Marque site. 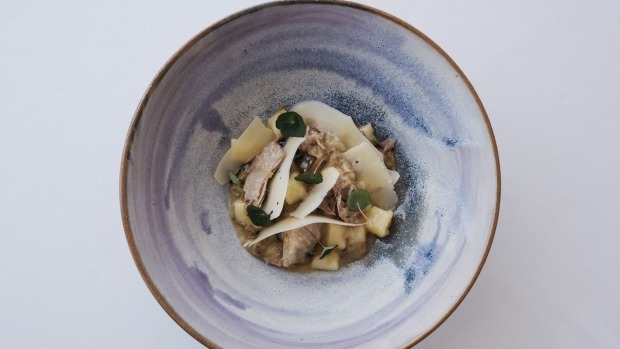 His heritage and modern stylings are on display in Italian-ish dishes like Mooloolaba king prawns grilled to enhance a natural sweetness counterpointed by green tomato, and gnocchi rich with a deeply savoury tangle of confit duck and shiitake mushrooms. It is very, very good. Lunch was a more simple affair under Vidal's ownership in the 1930s. Lamb chops were popular, as were kitchen garden-grown tomatoes, Pittwater-plucked seafood and fairy bread. It probably didn't happen, but I love the thought of Vivien Leigh and Laurence Olivier taking fairy bread on the terrace when they visited in 1940. 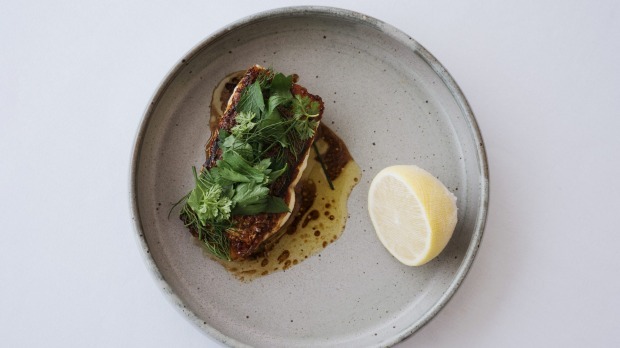 A little of that original menu still flashes a smile in dishes such as blushing pink lamb rump with traditional mint jelly, and perfectly crisp-of-skin wild-caught john dory fillet served with brown butter, lemon and parsley because that's absolutely all it needs. There's no more fairy bread, regrettably, but there is a beaut apple tarte tatin that's soft and chewy in all the right places under a quenelle of hazelnut ice-cream. The Jonah's of the 1930s was reported to be "a romance of Australian brick and stone" with green windproof shutters, Chippendale furniture and fine china. 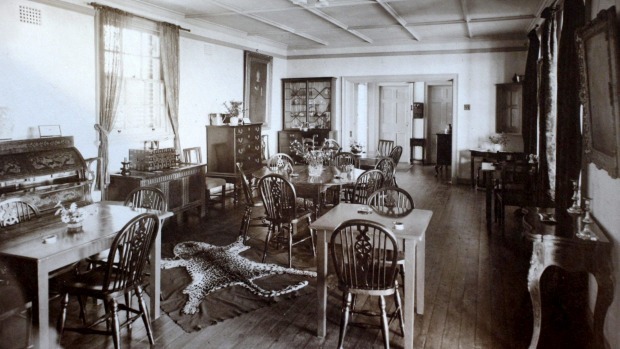 There was a leopard-skin rug in the centre of the room. This isn't to say Jonah's is some kind of Terrigal Crowne Plaza on a hill. Every part of the service experience is delivered with care, and Zamboni sure can cook. Start cranking your automobile and plot a course today. Signature dishes Frutti di mare; lobster thermidor; local wild-caught fish; beef rib-eye; hand-cut fettuccine with wagyu bolognese; lemon tart. Famous diners David Malouf, Bob Hawke, Jack Thompson, Laurence Olivier, Vivien Leigh, Anthony Hopkins, Mick Jagger, Jerry Hall, Rod Stewart, Justin Bieber, Rachel Griffiths, Michael Caine, Shirley Bassey, Lauren Bacall and Buddy Franklin.